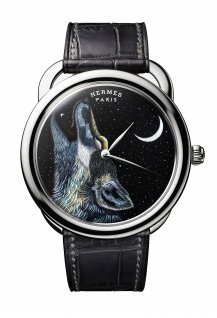 The howling wolf against the backdrop of the star-studded night sky with a quarter moon is the second design by Alice Shirley after “Grrrrr!” in 2016 to make it on to an enamel watch dial in the Hermès collection. 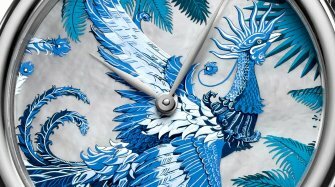 Like the square scarves where the designs first featured, the watches with these hand-painted enamel dials are strictly limited editions, with just eight being produced. In this somewhat stereotypical depiction, the grey wolf (canis lupus) is seen howling at the moon. The scene has been ingrained into myths and legends over the centuries, because wolves are primarily nocturnal and are therefore more likely to be heard howling at night. But the howl itself is just one of several sounds used by the wolf to communicate (along with barking, whimpering and growling). The howl is used for long-distance communication and can be either defensive (to keep the pack together, to stand their ground, protect young pups and protect kill sites) or social (to locate one another, rally together and maybe even just for fun). 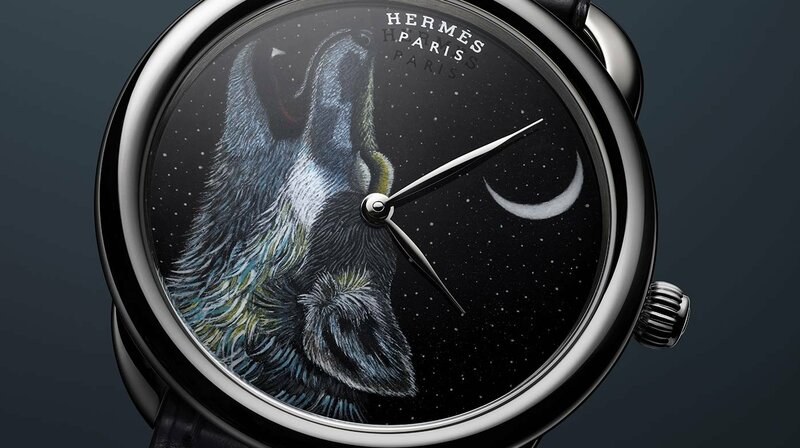 Given the complexity of the wolf’s interactions, the enamel dial of the Hermès Arceau “Awooooo” is a fitting tribute to this elusive beast. 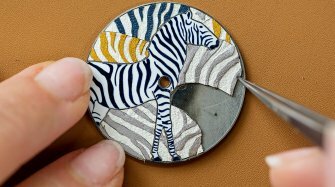 Multiple applications of enamel in different shades of grey are made with an extremely fine brush, following by firings at different temperatures and periods of cooling. 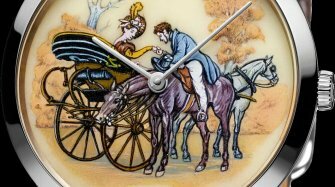 Without the utmost of care, the process could be ruined at any stage and the dial would have to be discarded. 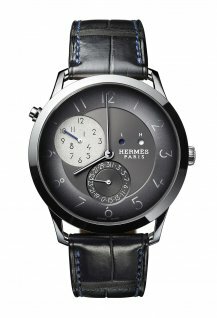 Inside is the in-house Hermès calibre H1837, a mechanical self-winding movement that operates at a frequency of 28,800 vibrations per hour and offers a 50-hour power reserve. 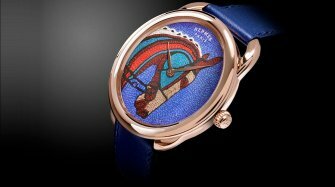 Its fine decoration includes a pattern of Hs on the bridges and oscillating weight. 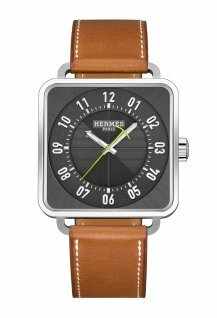 The ensemble is housed in an 18-carat white gold case with the signature Hermès “stirrup” lug at 12 o’clock to affix the matte graphite alligator strap with white-gold pin buckle.